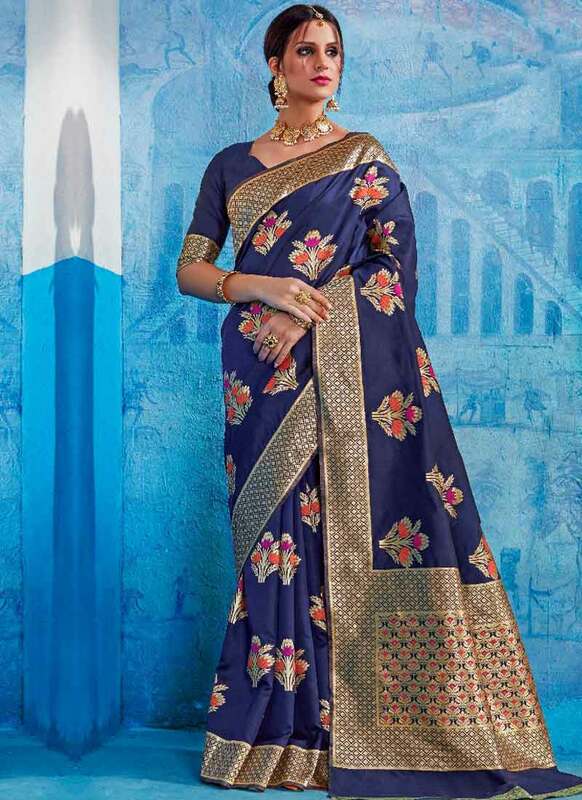 Navy Blue Weaving Print Handloom Silk Designer Wedding Wear Saree. Buy Online Shopping At -UK. 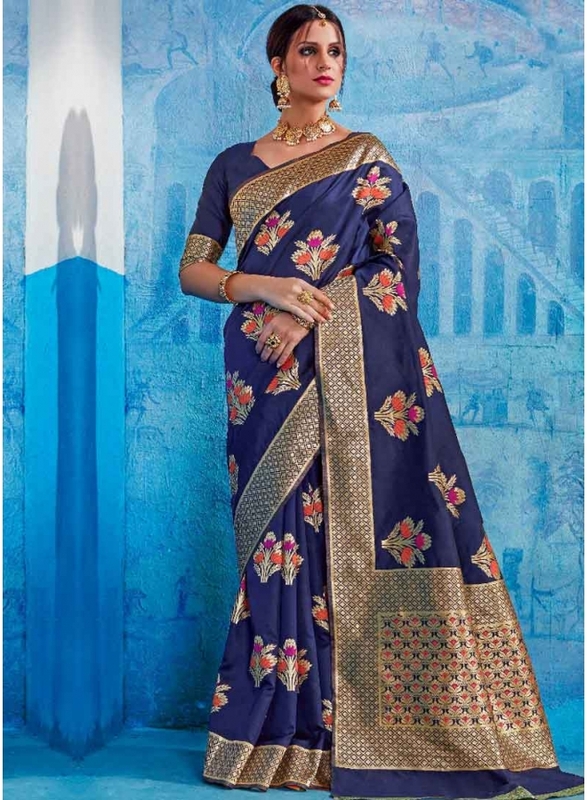 Navy Blue Weaving Print Handloom Silk Designer Wedding Wear Saree. This beautiful Saree is showing amazing Weaving Print done with Flower Work Lace Border. Saree comes with matching designer blouse of Silk fabric with Different Style . Designer Function wear Saree is designed with Heavy Handloom Silk fabric. Designer Party Wear Wedding Saree Is Showen Very Beautiful Look.